I received free product samples for the purpose of this post. The opinions expressed here are 100% mine. This post contains affiliate links. Please see my Disclosure Policy for more information. Welcome to the Thankful for My Followers Blog Hop! I’ve teamed up again with an amazing group of fitness bloggers to bring you another great giveaway blog hop. After you read my post (and enter the giveaway!) scroll down to the bottom of the page, where you’ll find of list of other blogs, all with amazing giveaways. Check them out and enter to win some fantastic prizes! And be sure to stop by and say hi to our host and co-host for this event, Runaway Bridal Planner and MCM Mama Runs. Well, it’s November, and that means it’s “30 days of gratitude” time on Facebook. I love your thankful status updates – I really do. But I won’t be joining you this year. I mean, I love the concept and all. But you know me. Anything that requires more than 3 consecutive days of action is going to get lost somewhere in this 40 year old brain of mine. But I do try my best to practice gratitude daily. 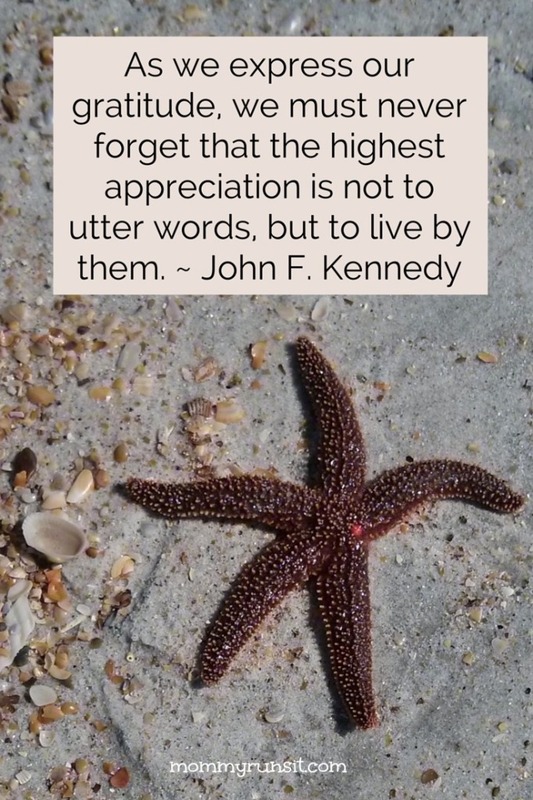 And I don’t mean that pompously, in a my-gratitude-is-more-meaningful-than-yours kind of way. Maybe gratitude comes easily to some people, but it doesn’t to me. Think about it – it’s much easier to complain, point fingers, and even wallow in an occasional Ben & Jerry’s fueled pity party. You know what’s hard? It’s finding a moment of joy in the crappiest of crappy days. Or running in the pouring rain and remembering to be thankful for your strong legs and healthy lungs. Or even just knowing that there’s a greater purpose or a lesson to be learned in everything than happens in your life, even when your heart is breaking. Every day, I have to make a choice. Will I live in gratitude? I don’t always choose wisely. But I try. And today I choose to be thankful for you! And I really, really am. Because of you, I’m able to create and grow something that I love, something that makes me indescribably happy. So all month long, I’m going to show you my gratitude with some awesome giveaways – I have a TON of them coming up! Right now I’m giving away a FitBit Flex, and later this week I’ll have a giveaway for a really great prize package from Udderly Smooth. And all month long, I’ll be giving away awesome prizes here and on my Facebook page. I can’t wait to share them all with you! Today’s giveaway is another great product from Omron – the same folks who brought you the TENS Electrotherapy Unit last month. 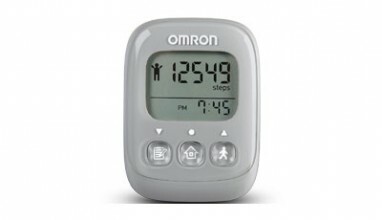 This time, one lucky reader will win an Omron Alvita Ultimate Pedometer (MSRP $29.99). Tri-Axis Technology: Counts steps accurately and quietly, whether positioned flat, vertically, or horizontally. Automatic Stride Function: Easy to set up because the pedometer automatically suggests stride length based on your height and weight inputs. You also have the option to calculate your own and input it yourself. Weekly Log: Stores up to seven days of information in memory; resets to zero at midnight, so you’re ready to go every morning. Light Weight: This pedometer weighs 0.8 oz and includes a large display for easy operation. Easy To Replace Battery: No tools required to replace/remove battery – simply slide the lock on the back to remove the battery cover. But here’s the really cool part about this pedometer. 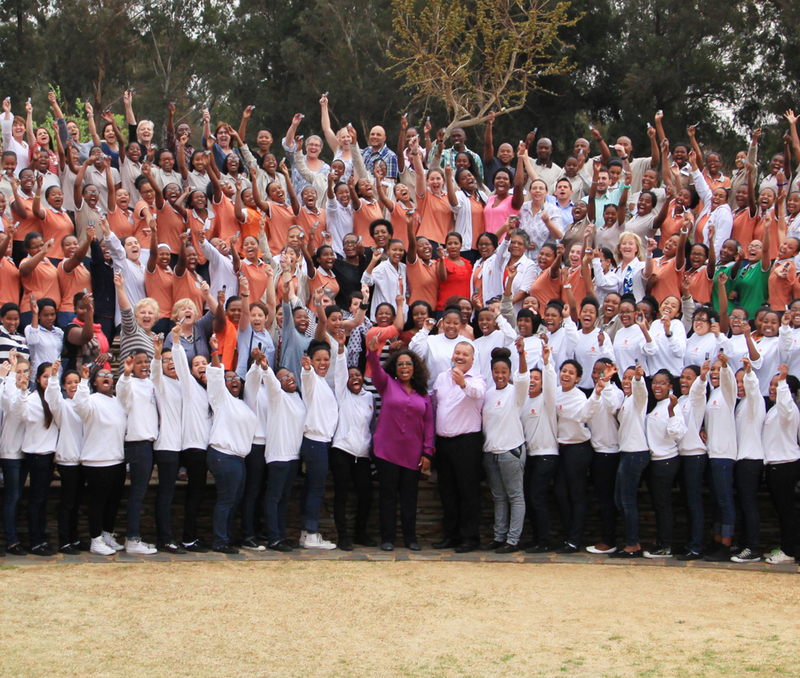 Omron recently partnered with Oprah’s Leadership Academy for Girls in South Africa and donated 600 pedometers to help the girls get active! 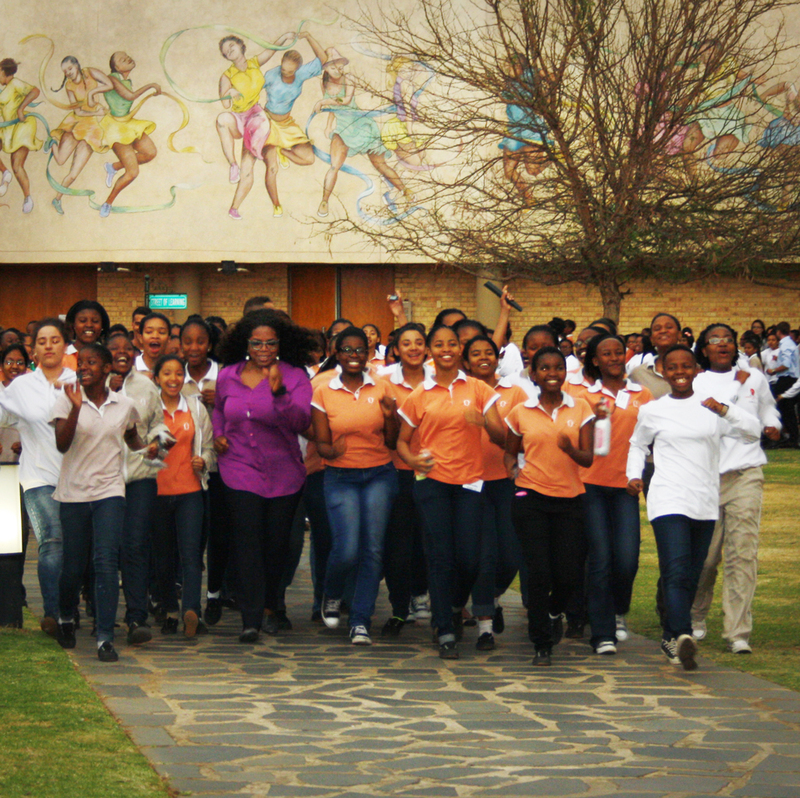 After a visit to the school in August 2014, Oprah decided that the students would benefit from exercising their minds AND bodies. 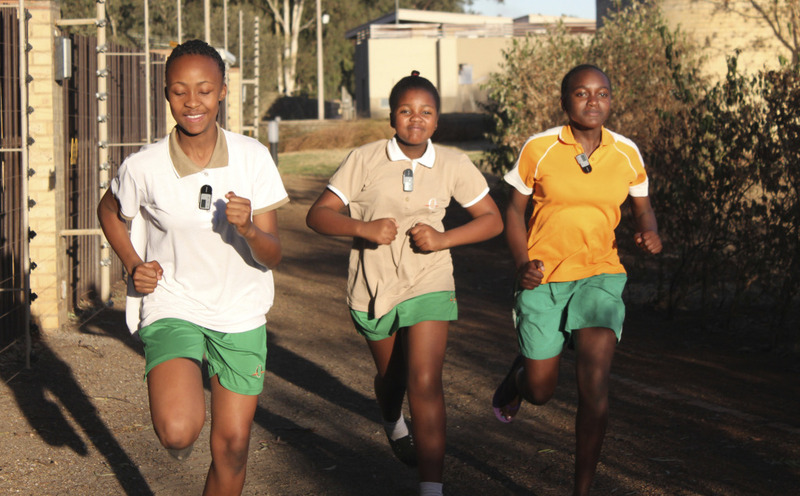 She decided to give a boost to a school initiative that had begun on her birthday earlier in the year – The Fittest School Challenge – to encourage the girls to become more active throughout the day. 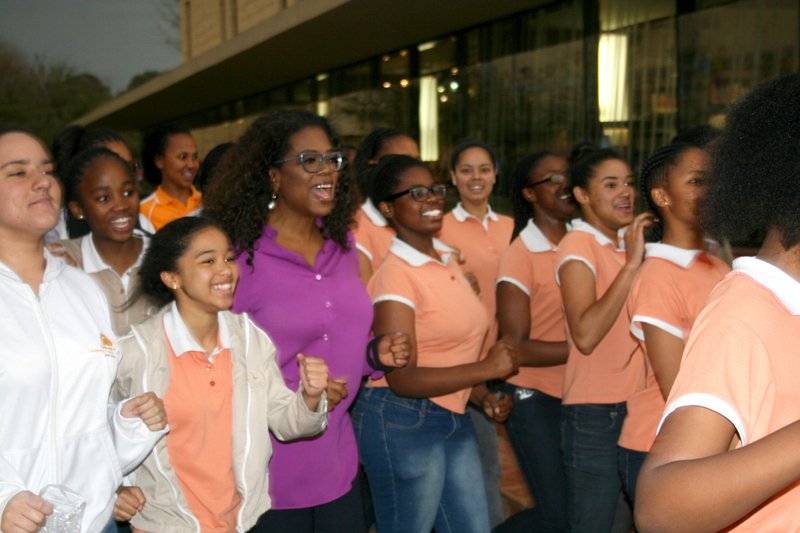 Oprah wanted to encourage physical activity, and she also wanted to find a way to keep the girls and faculty motivated to stay active over time. That’s when she invited Omron to join the challenge by donating Alvita Ultimate Pedometers to each student and staff member. She believed that the pedometers would be a fun way to track daily activities, while also motivating the girls to improve and walk more over time. Thanks to Omron, the girls at the Leadership Academy are on their way to meeting their goal of 10,000 steps per day! Want to win your own Omron Alvita Ultimate Pedometer? It’s easy to enter – just follow the instructions on the rafflecopter below. And when you’re done, don’t forget to scroll down and check out the rest of the giveaways!!! im thankful for running. it really helps to clear my mind. I am thankful for my supportive family! I’m thankful for my friends and family! I am thankful for my relatively good health. I’m always happy when I wake up in the morning. I’m thankful for my home, family, and job. I am thankful for life! Had a heart attack in spring and am finally doing my ‘spring cleaning’ around the house! Thank God for everything! I have many things to be thankful. I am thankful for my family and that they are healthy and happy. I am thankful we share a lot of laughter and look forward to the future full of happiness. I’m thankful for a warm home while it’s 21℉ outside. Since it is a given that everyone is thankful for their family. I will be more than happy to add that I am thankful for my job, my health, my car, but most of all TO BE ALIVE! I am so thankful for my health and my amazing family! I am thankful for having food to eat. I am thankful for new running shoes. I am thankful for my loved ones and for being able to wake up daily. Today I”m thankful that we were not hit tonight while driving home. It was a close call. Oh my goodness – scary! I’m thankful for my hubby and daughter! I am thankful that I have the day off tomorrow. I am thankful that my body healed from injury and allowed me to run my first marathon over the weekend – what an amazing experience. I’m thankful that my family is healthy. I’m thankful for my wife today and everyday! I’m thankful for my family and our health. I am thankful to my loving family who are always there for me! For my husband – who supports me in all that I do. I’m thankful for the cooler weather to run in! I am thankful that my kids are healthy. A warm home to be in at night. I am thankful for my hubby- 9 years tomorrow! I need to read your post to feel thankful, I’m feeling bummed out and sorry for myself. Will read it now and thanks for the article. I am thankful for a sunny day! I thankful for my hubby for taking care of my oldest whom had the flu last week so i could take care of my youngest. Very cool giveaway. I would totally gift this to my mom to keep her moving during the day!